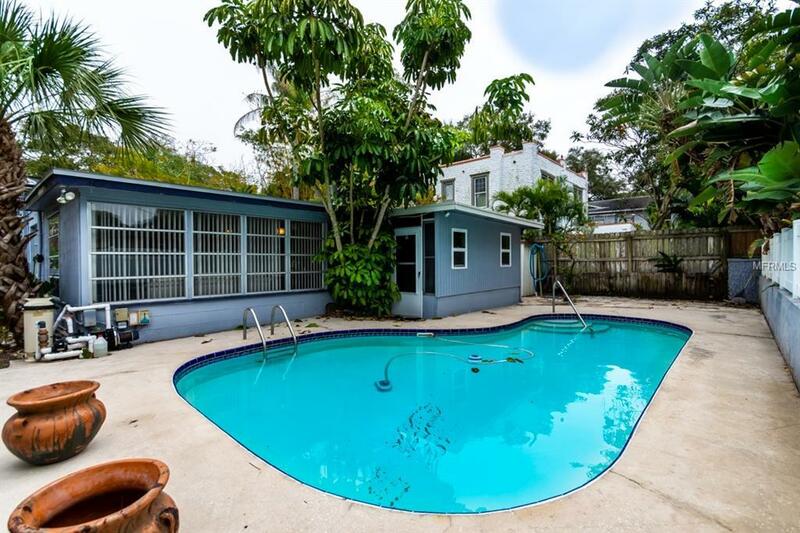 This 2 Bedroom 1.5 Bath Pool Home, located in the desirable Jungle Terrace Neighborhood, features an open floor plan of over 1800 sq. ft. of living space. The expansive living room/dining room combo offers plenty of natural light, and features beautiful terrazzo flooring and a retro wood-burning fireplace. Bonus room could be used as a den, office, or even a 3rd Bedroom. 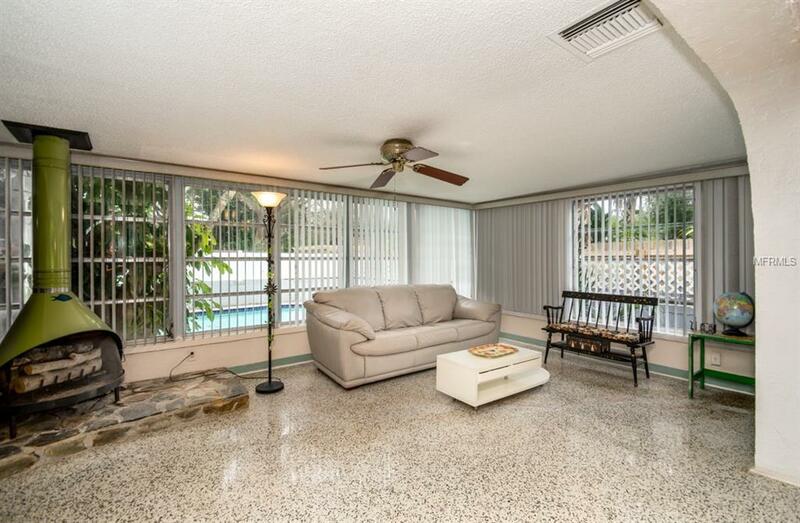 The Florida room in the back offers even more space, and is independently cooled by a wall unit AC. Outside, the landscaped courtyard provides for an inviting entrance, while out back, the recently resurfaced pool provides for a glimmering oasis on those hot summer days. 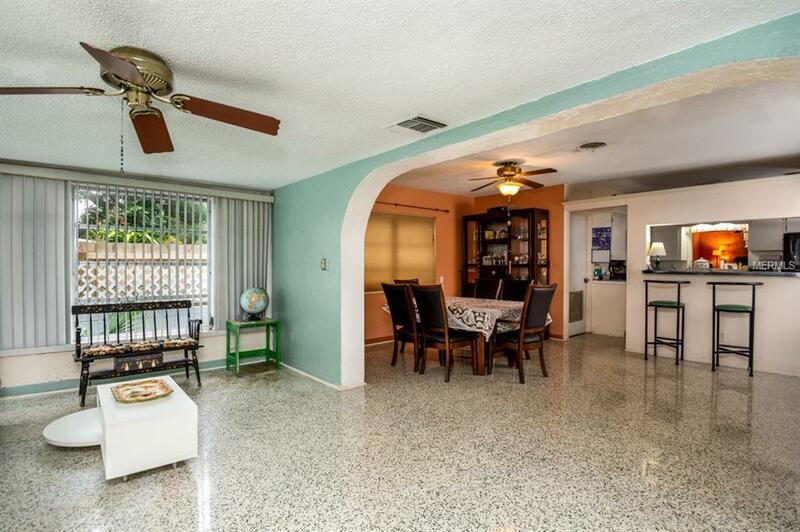 This home is located convenient to several parks, plenty of dining and shopping, and is only a short drive from the beach. 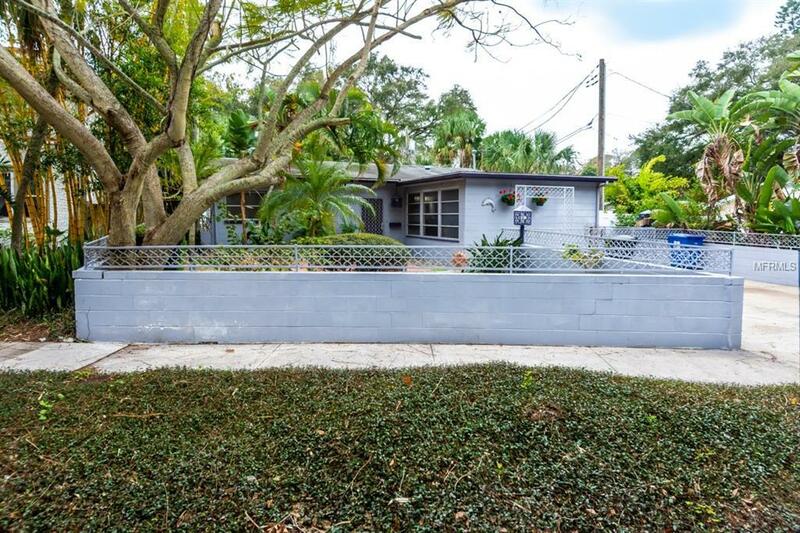 Don't miss this opportunity to own your own piece of paradise in one of St. Petersburg's most sought after Neighborhoods.